Sylvia Grace Borda is a Canadian-born artist who is interested in re-addressing public views about socio-cultural landscapes and how cultural symbols may be co-opted to form new media platforms. Sylvia is an actively engaged artist, curator, and lecturer bringing together unique partnerships that innovate in the development of social enterprises and in the support and the creation of new contemporary art platforms. She works with communities to enable them to profile their own local histories to wider public constituents through the arts and artistic interventions. 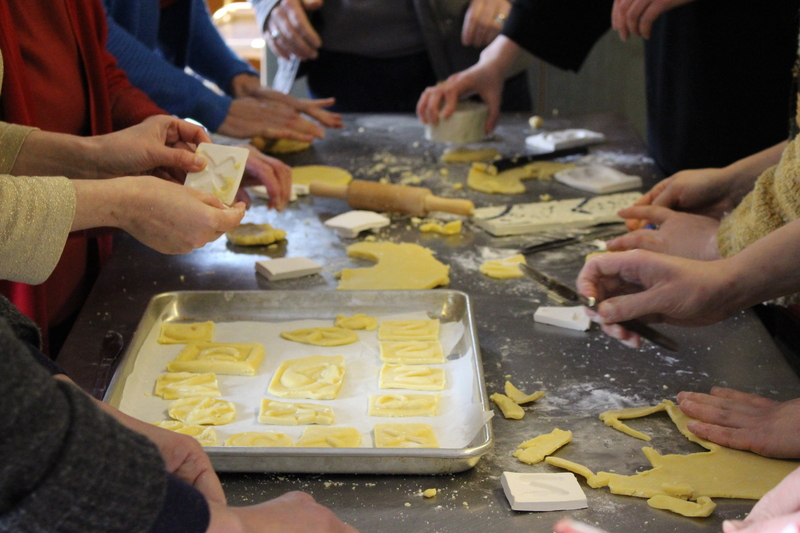 During her residencies at SSW, Sylvia worked closely with Lumsden Community Association and the wider community to develop a project entitled ‘Lumsden Biscuit’. 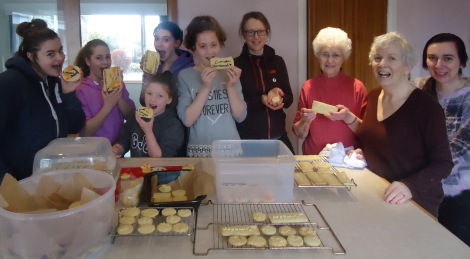 Sylvia Grace Borda worked with the Lumsden community over an 18-month period, bringing together a number of young and senior inhabitants of the community, to produce both an edible local product and create a new social enterprise for young people in the village. 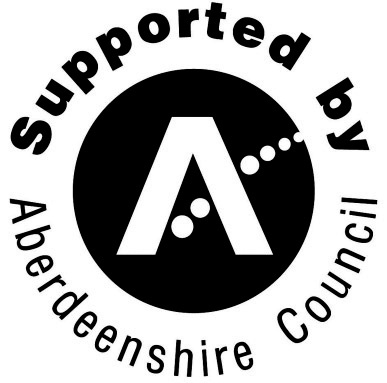 The outcome of the project is the Lumsden Biscuit – these edible artworks are an innovation in representing local Aberdeenshire flora and in building community partnerships. The biscuits were designed using an early photographic process (the photogram) laying objects, such as flora, onto photographic paper and exposing it to light. The resulting photogram images of local flora became the designs for wooden biscuit moulds. 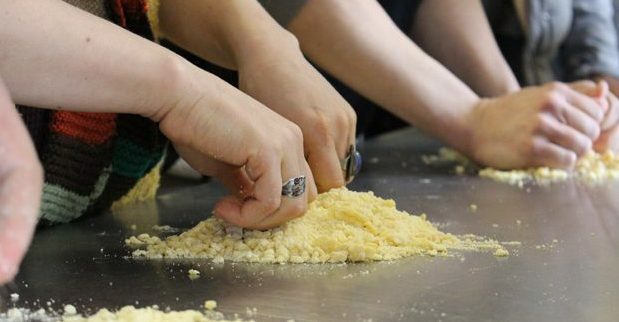 The artist worked closely with community experts and the young people in Lumsden village to produce shortbread artworks using the specially made moulds. 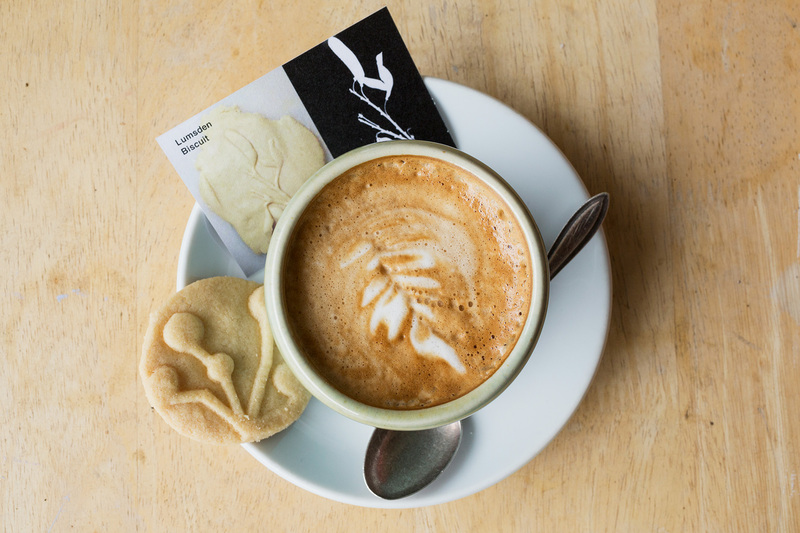 These artworks may be the first edible photograms. 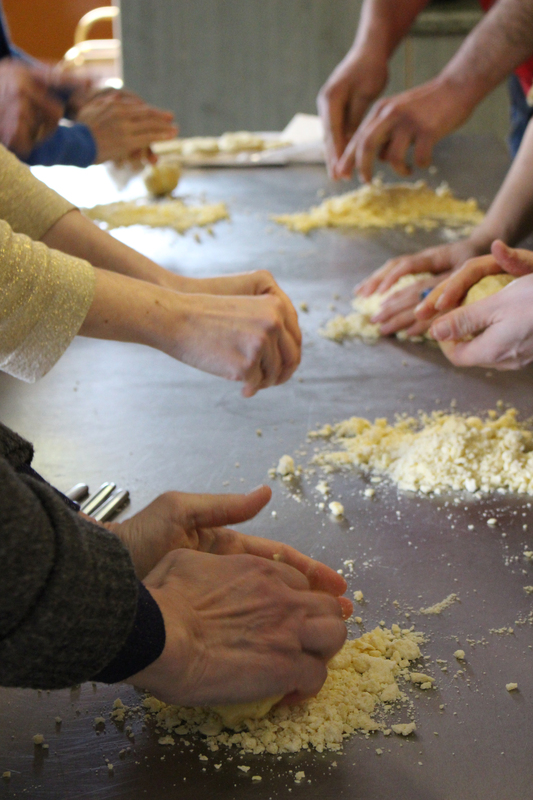 The Lumsden community continue to use the biscuit moulds to promote their community and to profile how contemporary art and food production can come together as a social enterprise. In a region, where the majority of the traditional baking business has been taken over by big corporates (SSW is situated in the former bakery of the village), the local shortbread, made with heritage recipes and with imprints depicting local flora, pave way to small-scale alternative economy in the village. The Lumsden Biscuit project provides an example of the ways in which Borda aims to reassign value to under appreciated regions, cultural traditions and sociocultural landscapes. Since the biscuit was launched with a big community ceilidh during the SSW Incubator in March 2016, the project has been strongly supported by the partners Lumsden Community Association, Lumsden Primary School and Scottish Sculpture Workshop. All committed to the project, they are collectively working towards ensuring its sustainability. The biscuit, as a project and enterprise is now held by Lumsden Primary School and is to become one of the main products for their new community cafes – an exciting new venture that the new Head teacher Joanne Brown has successfully set up to encourage and support the children’s learning, but also to highlight the schools presence, and to help build relationships with the local community. All the proceeds of sales go back to the school and the local community to further enrich the village and make lumsden a more vibrant place to live. Collaborators include: sculpture-artist, J Keith Donnelly who carved the Lumsden Biscuit shortbread wooden moulds, volunteer teen and senior bakers from the Lumsden area, the Lumsden Community Association and local residents, Lumsden Primary School, and Scottish Sculpture Workshop. The Lumsden Biscuit was shared as part of SSW Edge Effects programme in Glasgow. The Project Cafe distributed the Lumsden Biscuits when you bought a tea or coffee. Commissioned by SSW the biscuits have been made by Lumsden community bakers, and proceeds from the commission went back into the village. Frontiers in Retreat was a five-year collaborative project that fostered multidisciplinary dialogues on ecological questions within a European network formed around artist residencies. The project set out to examine processes of change in particular, sensitive ecological contexts within Europe, to reflect them in relation to each other and to develop new approaches to the urgencies posed by them. 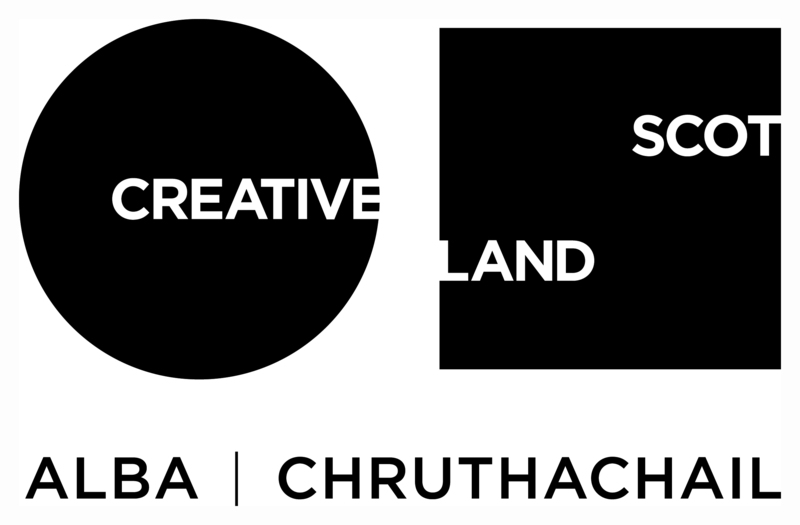 Scottish Sculpture Workshop facilitated research and production residencies for six artists. These artists are Brett Bloom, Sylvia Grace Borda, Fernando Garcia-Dory, Carl Giffney, Mari Keski-Korsu and Simon Yuill. During the course of FiR, SSW worked closely with each artist to support and develop their individual projects.